Sterling Silver is really enjoying the new trend in fashion for a more minimalist approach. 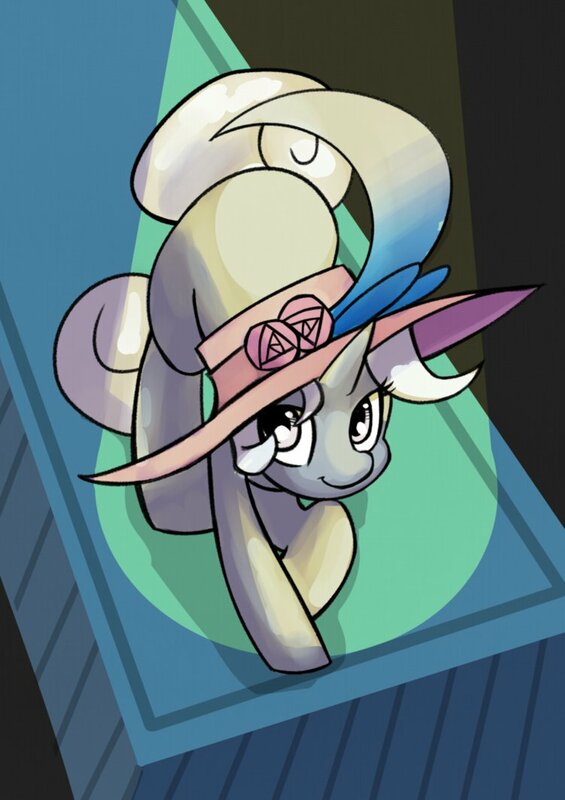 Rather than having to wear highly complicated dresses that take multiple ponies to help dress her, now she can just wear a nice fancy hat. And who doesnt like big hats. Art by the super nice fauxsquared. GO follow him on DA and love his awesome creation Pearjack. This looks awesome Cobalt! Silver, I must say you look quite beautiful in this shot. Probably the best I have seen of you.